Special Counsel Robert Swan Mueller on 22nd of March submitted the investigation report on alleged collusion between Russia and United States President Donald Trump‘s 2016 election campaign. 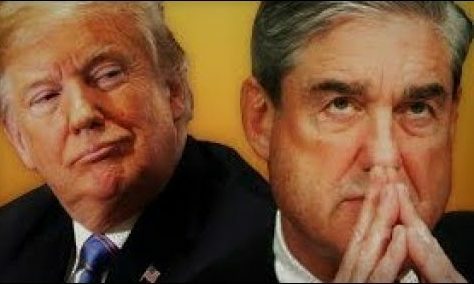 American attorney and the Special Counsel of the investigation into Russian interference in the US-2016 election Robert Swan Mueller on 22nd of March submitted the investigation reporton alleged collusion between Russia and United States President Donald Trump’s2016 election campaign. Accordingto an official from the justice department, Mueller’s report did not mention about any further prosecutions. On March24, US Attorney General William Barr sent a four-page letter to Congress highlighting the special counsel’s findings. Barr said that on the question of Russian interference in the 2016 election, Mueller“did not find that the Trump campaign or anyone associated with it conspired or coordinated with Russia in its efforts to influence the 2016 U.S.Presidential Election”. The specialcounsel investigation began eight days after President Trump dismissed FBIdirector James Comey, who was leading existing FBI investigations since July2016 into links between Trump associates and Russian officials.